In 1998 the Children’s Leukaemia & Cancer Research Foundation agreed to administer the 3 Boys Legacy charity as part of their cancer research program. 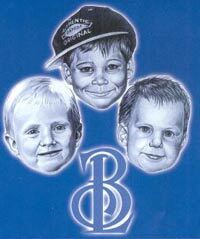 3BL was established in 1998 by three families who lost their 3 boys to brain tumours in 1996. The 3BL research into children’s brain cancer, in memory of Matthew Webb, Justin Ward and Ricky Wannberg, is being conducted by Dr Peter Dallas alongside Professor Kees and her research team. 3BL have their own website. Donations for the 3 Boys Legacy research should be made out to the Children’s Leukaemia & Cancer Research Foundation, PO Box 1118, West Perth WA 6872.